Workshops luncheons are held on Thursdays 12-1:30 p.m. Meetings consist of a program with a guest speaker, a buffet lunch, a short business meeting, and networking time. Cost is $20 for members, free for first-time guests first time, and $30 for all other guests. Reservations are required by the Monday before the meeting. For additional information or to reserve your space, RSVP online or contact Carrie Budd. April 18 - Program TBD. May 16 - Program TBD. August 15 - Siren Song Marketing Group, Abbey Smith. September 19 - Program TBD. October 17 - Program TBD. December 12 - Roundtables and Holiday Raffle. 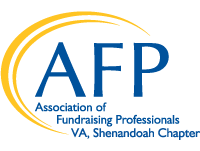 *Professional Development Scholarship available for chapter members. For more information on joining our Chapter, or scholarship memberships, contact Membership Chair Penny Imeson.